Our office received a phone call from a customer who was moving to Carlsbad from out of state. The North San Diego home had a pool and spa which had lights that would not turn on. 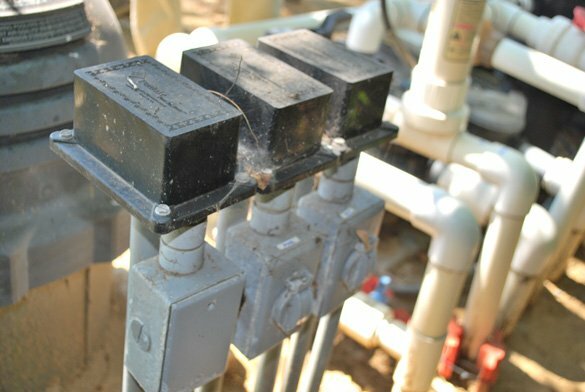 The new homeowner was concerned with the safety of his family if the spa or pool was used at night. 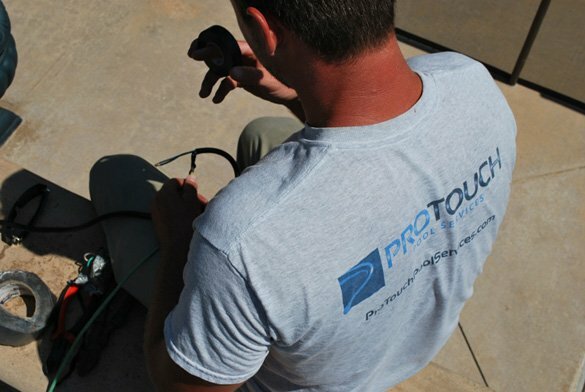 We scheduled a service call to troubleshoot the pool and spa lights. The light repair needed to be finished quickly because the customer was moving in at the end of the week. We were able to get the lights working within 48 hours to the great satisfaction of the homeowner. 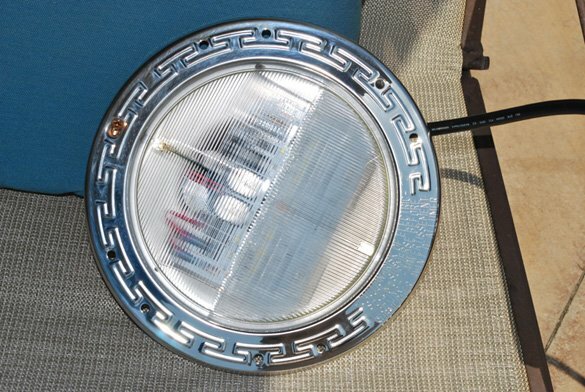 A new LED spa light was installed. The Carlsbad home had a large swimming pool with two lights and an attached spa with a single pool light. When we attempted to turn on the lights the GFCI breaker tripped. To further diagnose the lights we checked each light individually at the junction boxes. 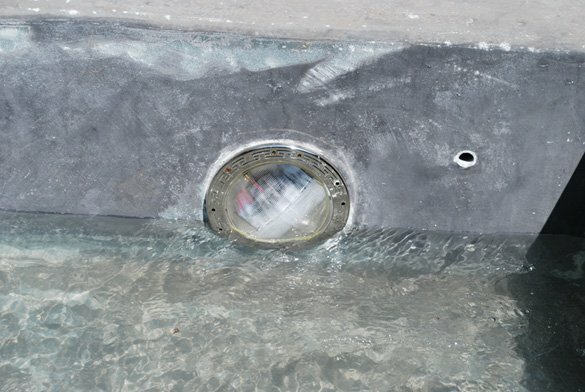 We found that the Amerlite pool light in the spa was causing the breaker to trip and that both pool lights were fine. 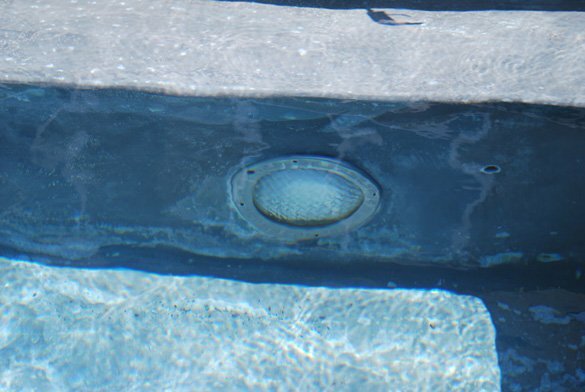 The prices to either install a new white LED pool light or a color LED pool light were given to the homeowner. We gave the option for him to call his homeowner’s insurance policy but he liked our professionalism and wanted us to install the new spa light. 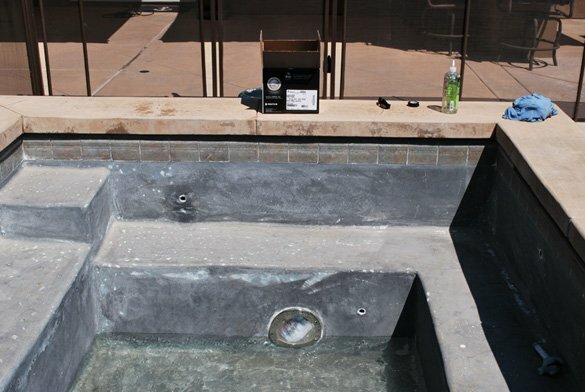 A new Pentair IntelliBrite 5G color LED pool light was installed in the spa along with a new bonding wire.